Coastal flooding could cause over €900 billion in damages to European countries by the end of the century without further investments in coastal protection, a new study finds. The study carried out by the EU’s Joint Research Centre (JRC) found that the annual damages caused by coastal flooding in Europe will see a significant increase to between €93 billion and €961 billion by 2100. The cost to date is €1.25 billion. One in three European citizens lives within 50km distance from the coast meaning that over 100,000 people are affected by the likes of flooding and sea level rise every year. The report shows that this number is expected to increase up to 3.65 million by 2100. In analysing the future risks of coastal flooding, the scientists studied a ‘business as usual’ and ‘sustainability’ scenario. Michalis Vousdoukas, a researcher in coastal oceanography at the JRC, told The Green News that the results of the study show that the ‘sustainability’ scenario will result in lower damages. “Even if we could stop emitting now sea levels would keep rising for some time due to the greenhouse gases already in the atmosphere but the trend could reverse in the future,” Mr Vousdoukas added. 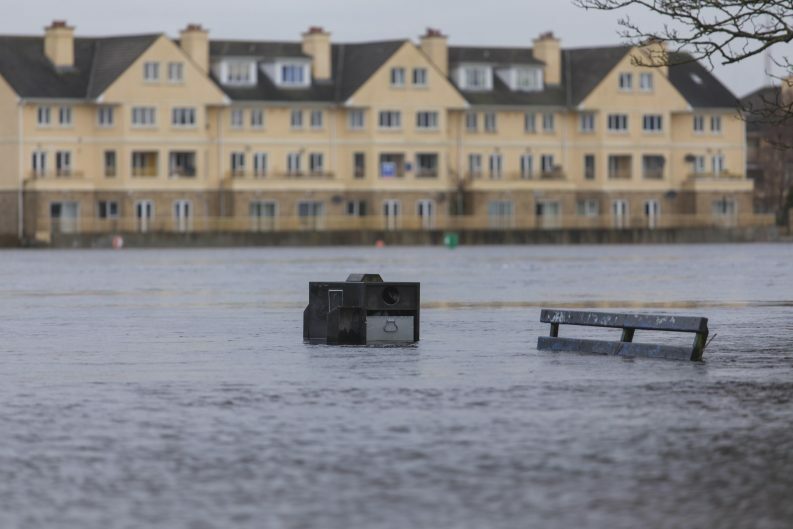 The study found that in order to keep flooding losses low Europe needs to install defence structures to withstand the increasing sea levels ranging from 0.5 to 2.5 metres. Mr Vousdoukas said that “further adaptation will be necessary” and that existing EU policies are not sufficient to reach the required protection levels. Extreme flooding is linked to the impacts of climate change as increasing temperatures impact the growing volume of water in the ocean and the melting of sea ice in Greenland and Antarctica. A recent study from Newcastle University found that most of Europe’s cities will likely face more extreme weather conditions such as droughts, heat waves and floods by 2100 as a result of climate change. The study showed that Ireland and UK will be among the worst affected EU countries, with Cork, Derry and Waterford expected to be hit hard. Even in a low-risk scenario, 85 per cent of cities in the UK is expected to face more intensified river floods. 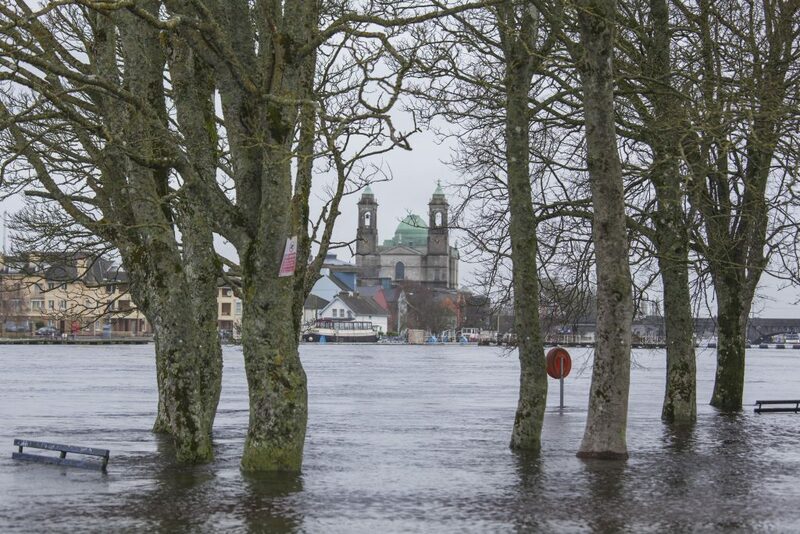 In a 2017 study on the impact of our changing climate on European floods, Dr Conor Murphy of Maynooth University found a clear change in the timing of floods over the past 50 years. The study found that the biggest shifts were recorded in Western Europe where floods are now starting up to two weeks earlier, while floods in northeast Europe start later. The study found that if the trend of shifting flood timing continues, this will lead to economic and environmental damages as societies and ecosystems will need time to adapt to the changes. Later floods would lead to softer ground for spring farming, intensified erosion, and direct crop damage. Earlier spring floods in Europe may lead to limited storage of water reservoirs and reduced water supply, the study found.